Morri Creech was born in Moncks Corner, South Carolina, USA, in 1970 and was educated at Winthrop University and McNeese State University. He is the author of two previous collections of poetry, Paper Cathedrals (Kent State University Press, 2001) and Field Knowledge (Waywiser, 2006), which received the Anthony Hecht Poetry prize and was nominated for both the Los Angeles Times Book Award and the Poet’s Prize. 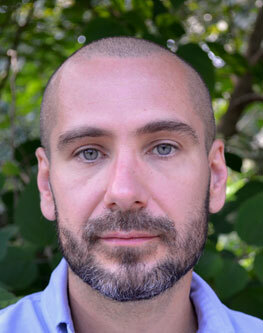 A recipient of NEA and Ruth Lilly Fellowships, as well as grants from the North Carolina and Louisana Arts councils, he is the Writer in Residence at Queens University of Charlotte, where he teaches courses in both the undergraduate creative writing program and in the low residency M.F.A. program. He lives in Charlotte, North Carolina with his wife and two children.